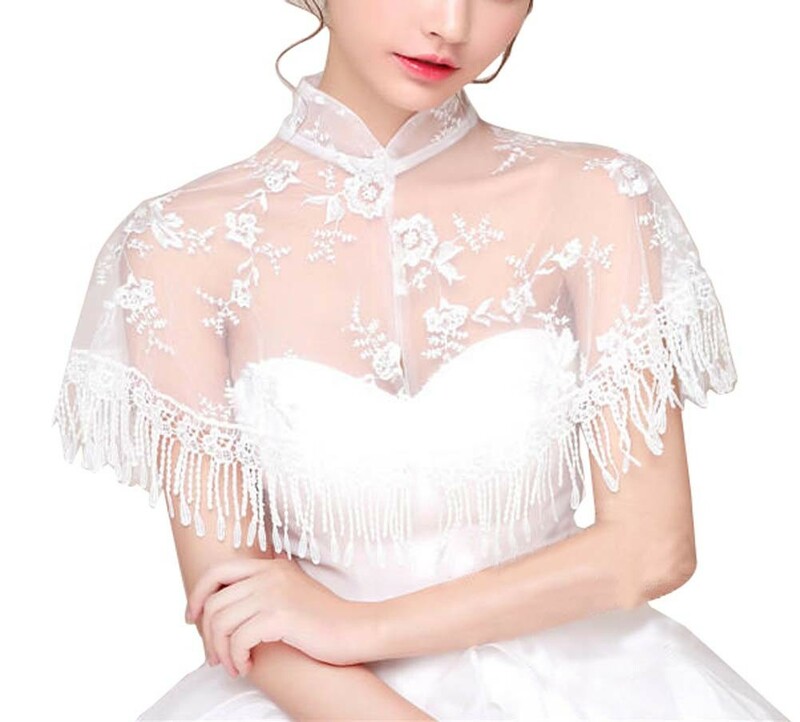 Package includes one piece bridal shawls. One size, fits most people. Recommend the maximum weight 110kg/242.5lb. It can make you become more elegant and beautiful. Perfect for a wedding or any other special occasion. Ships from Hongkong. The best Shawl with premium quality for your wedding. It can make you become more elegant and beautiful. Perfect for a wedding or any other special occasion. Please pay attention to the size information. One size, fits most people. Recommend the maximum weight 110kg/242.5lb.